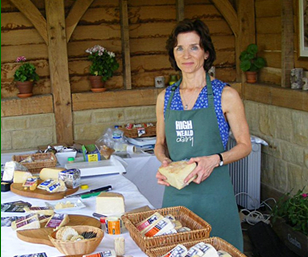 This month we’re celebrating Sister Sarah and Ashdown Foresters which were among the award-winning cheeses at the British Cheese Awards. Almost as soon as the first wheels of 2018 Sister Sarah cheese had finished maturing, we were sending a sample off to be judged in this year’s British Cheese Awards. And it was definitely worth the effort as judges awarded Sister Sarah with a gold medal. Our Smoked Ashdown Forester cheese was also a winner, scooping a bronze medal for the High Weald Dairy. The awards took place at the Royal Bath and West Show in Somerset’s Shepton Mallet on May 30th and saw cheeses from 147 cheesemakers judged. 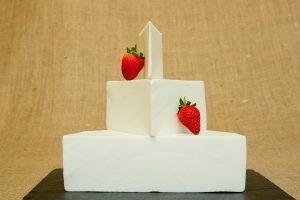 The cheese awards were founded 25 years ago as a way to celebrate a renaissance in cheesemaking in this country and to promote awareness of British cheeses. In the first year back in 1994 there were 296 cheeses entered, now there are more than 1,000 – so our High Weald Dairy cheeses faced some tough and tasty competition. Judges score the cheeses on presentation, texture, aroma, flavour and balance. Sister Sarah is the only cheese we make from goat milk at the dairy. It’s a semi-soft cheese which is matured for 8-12 weeks. As goat milk is only available at certain times of the year, we don’t sell the cheese all year round and its arrival is eagerly awaited by some of our customers who love its mild flavour. 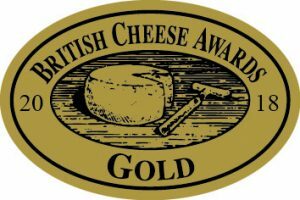 For that reason, we made it our Cheese of the Month in May, which seemed especially appropriate when it scooped the gold medal at the end of the month! It’s quite unusual for a goat milk cheese because it doesn’t have the ‘goatiness’ that puts some people off goat cheese. It’s a very white cheese, thanks to the goat milk, and is coated in annatto (a south American berry) which gives it an orange coat. Our second award-winning cheese, Ashdown Foresters Smoked is a cow milk cheese. It is an unpressed cheese which has an attractive shape and basket weave texture on the outside. It’s matured for around three months to achieve a firm but slightly squidgy texture and is smoked over oak shavings here at the High Weald Dairy. A total of 77 judges took part in the judging process with Michel Roux OBE on the judging panel. 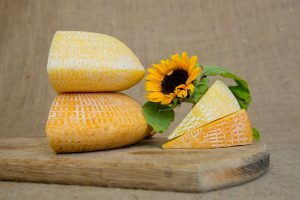 Among the award-winning cheeses, Sheep Rustler by Somerset cheesemakers, White Lake Cheese, was judged as Supreme Champion for 2018. Peter Mitchell, chairman of the British Cheese Awards, said: “The number and quality of the cheeses entered for this year’s awards has been exceptional and made judging and choosing the winners a real challenge. We’re delighted that White Lake Cheese, a local Somerset cheesemaker, won the Supreme Champion trophy for its Sheep Rustler; a delicious and intriguing ewe’s milk cheese.